WannaCry or WannaCrypt is well-coordinated ransomware which have infected many systems around the world recently. If your system has not been infected with this deadly ransomware, it is good to make sure that you keep your system safe by using some preventive measures. The good news for Windows 10 is that the user of Windows 10 do not have to worry because WannaCry/WannaCrypt will not face any attack of this virus. But as this is attack so it can be happened at anywhere. 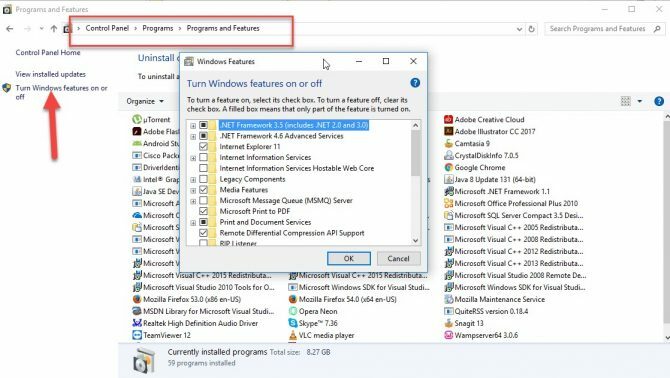 Windows 10 users should also stay safe and take some preventive measures. For other versions of Windows, steps must be taken to avoid infection from WannaCry and WannaCrypt. Here are some quick and easy ways that will guide you how to cut chances of WannaCry/WannaCrypt attack and keep your System secure. If you have enabled automatic updates, then updates will be installed on your System when they become available. If you haven’t activated your auto updates due to any reason or you are having a limited data plan. Then here are some updates which you need to manually download from the Microsoft website. And download the following updates one by one by entering the update name in search box. Make sure all these updates are installed for a secure system. If you are on a local area network, you are probably using Server Message Block (SMB) for file and printer sharing. WannaCry spreads across local area networks using SMBv1 service. So to stay secure and safe from WannaCry, you will need to disable SMBv1. After disabling SMBv1, you will not be able to use file and print sharing on your local network. Go to Control Panel\Programs\Programs and Features\ Turn features On or Off. 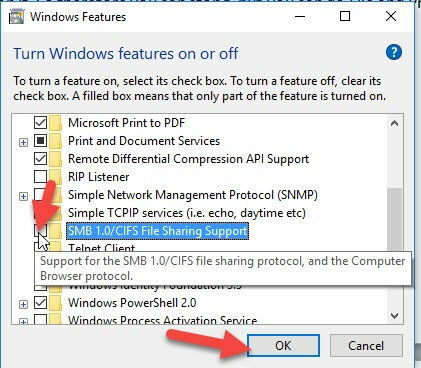 Search for option SMB 1.0/CIFS File Sharing Support. And uncheck this option. Press OK, close all windows. Restart your System once to apply all the changes. So go for any above solutions and stay protected and safe from WannaCry or WannaCrypt ransomware.